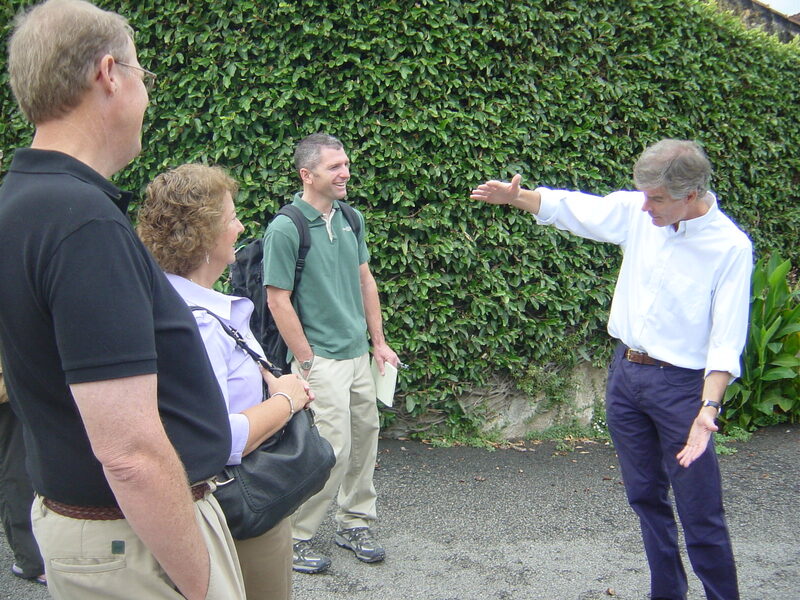 In October 2009, we decided at the last moment to join a tour with Roy and Mario with For the Love of Port (http://www.fortheloveofport.com/). While Charlie and I prefer to travel on our own or with our friends, the offer that Roy made to us was too good to pass up. As it turns out, this was a wonderful trip. 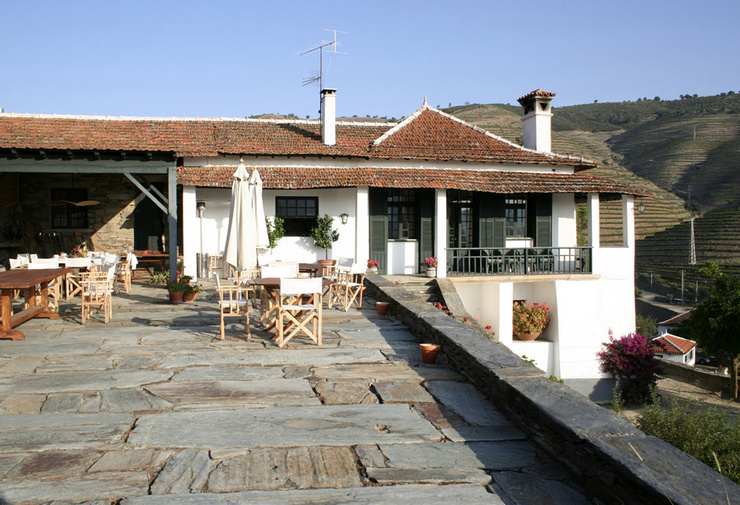 We met owners and winemakers, and drank copious amounts of Port and Portuguese table wine. 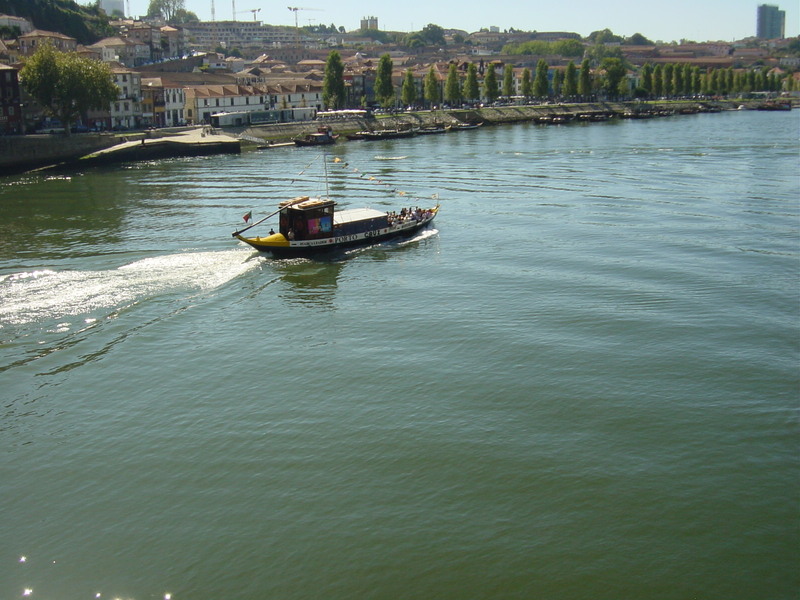 If you want to visit Portugal – and you should, you can’t go wrong with one of the For the Love of Port‘s trips. 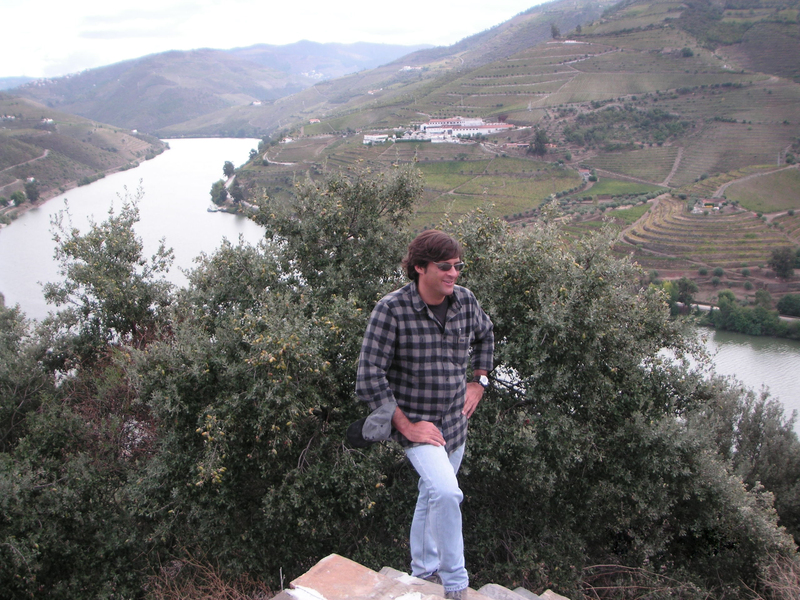 Finally, of all the wine regions we have visited to date, I would say that the Douro is the most beautiful. 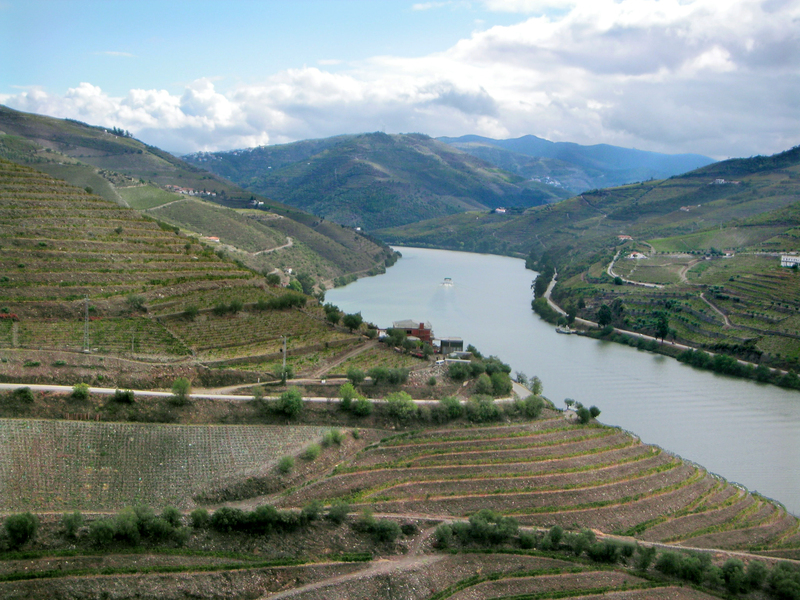 The Douro is a spectatuclar region to visit. 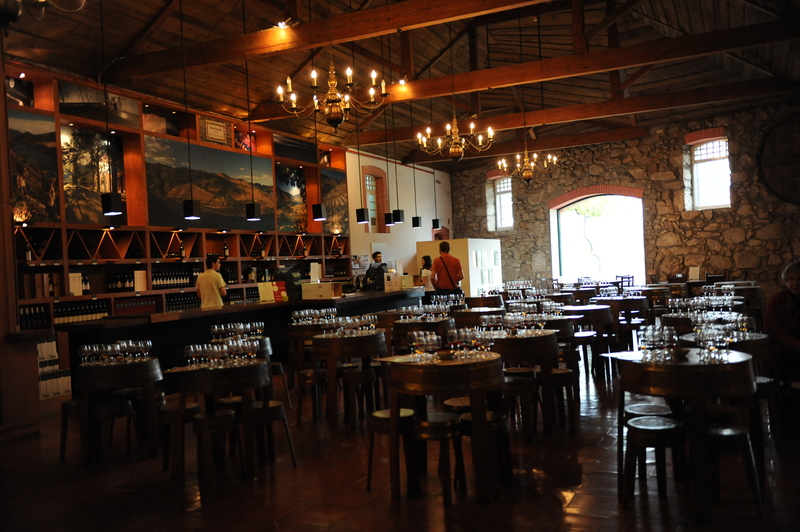 Because we tasted so many Ports and table wines, for this post, I am not going to list the Ports and table wines we tasted, but rather, just point out the highlights of our visit and any Ports and table wines that really stood out to me, or I would buy. 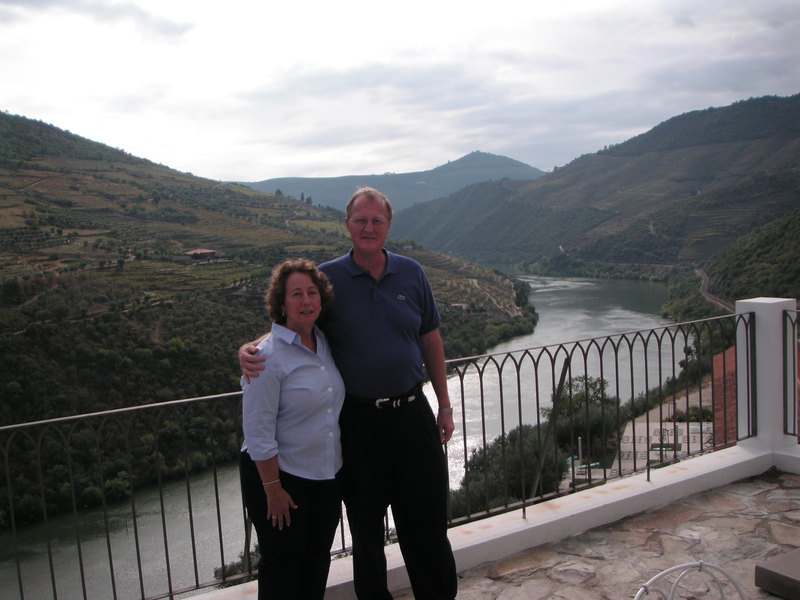 Overall, Charlie and I were very impressed with the Portuguese red table wines. 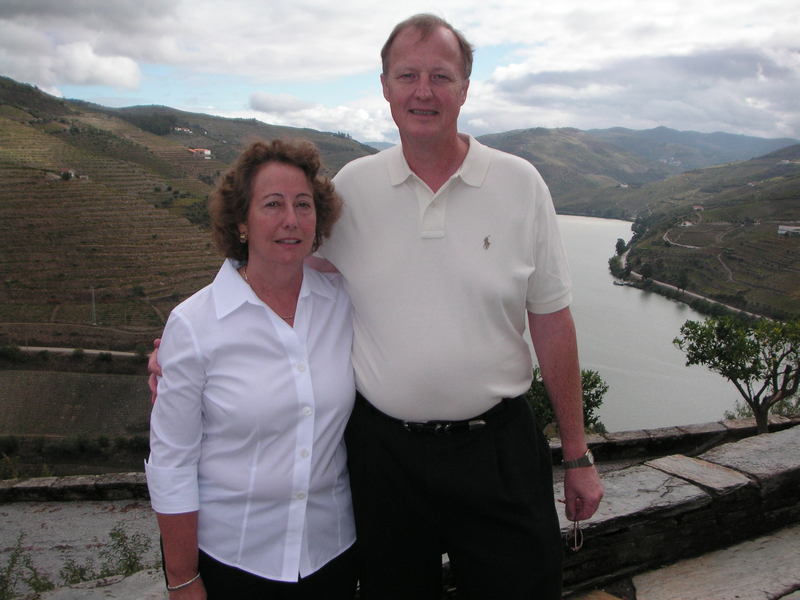 And while we enjoyed the Ports, we drank enough Port during this trip to last us a lifetime! For those who are Port novices (like me before the trip! ), I thought a basic primer on Port would be helpful. 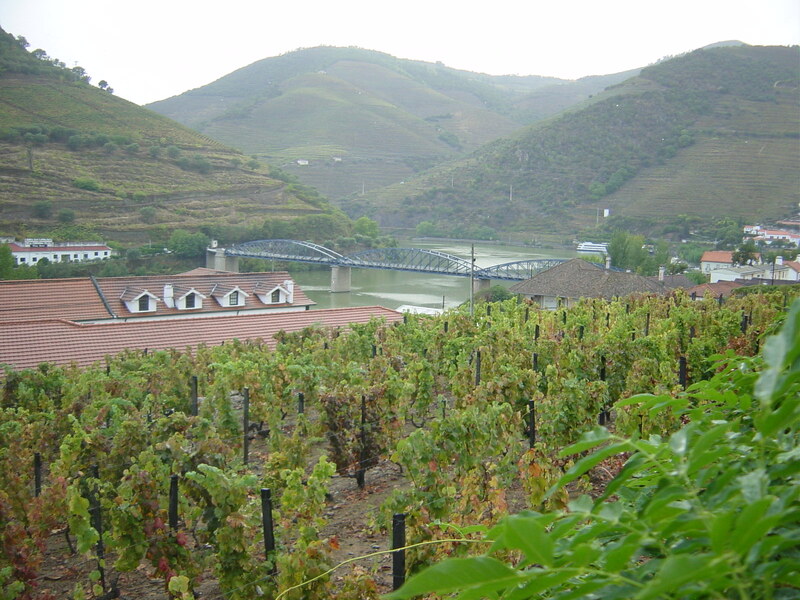 Port is made from indigenous grapes, primarily Touriga Nacional, Tourgia Franca, Tinta Roriz (tempranillo in Spain), Tinta Barroca and Tinta Cão. 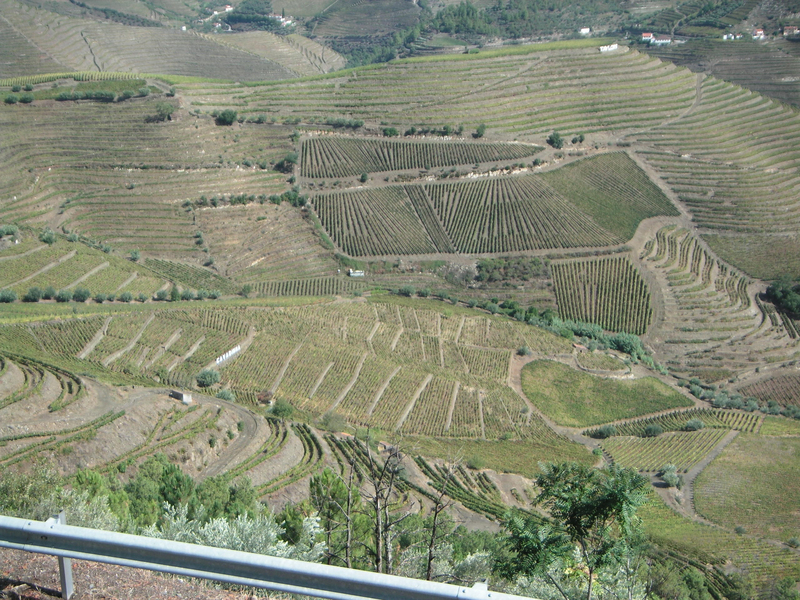 Traditionally, the grape varieties used in Port were field blends (whatever combination of grape varieties that occurred in the source vineyard). Today, the grapes types are segregated by block planting. Port is fortified; that means that during fermentation, when about half of the sugar has turned to alcohol, Aguardente (a brandy made specifically for the Port producers), is added to stop the fermentation. 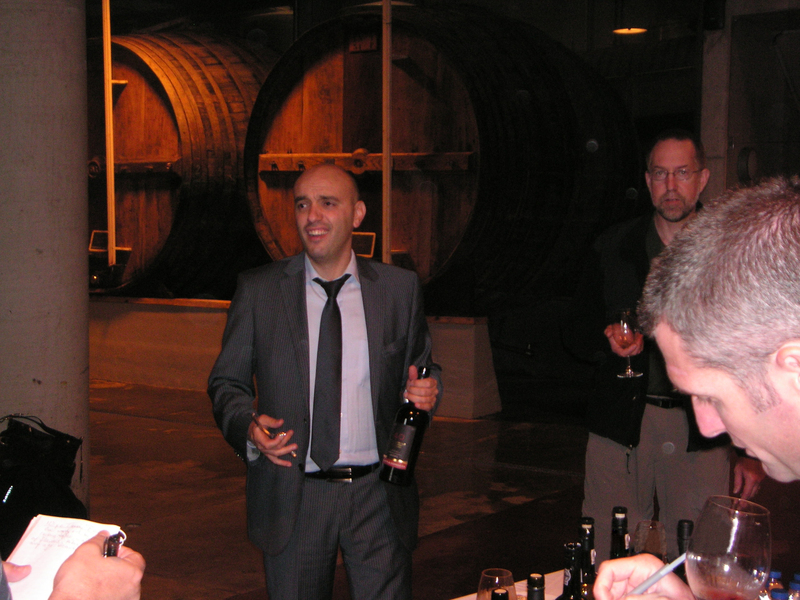 This raises the alcohol level to between 19-21%, and leaves a good deal of residual sugar in the Port. 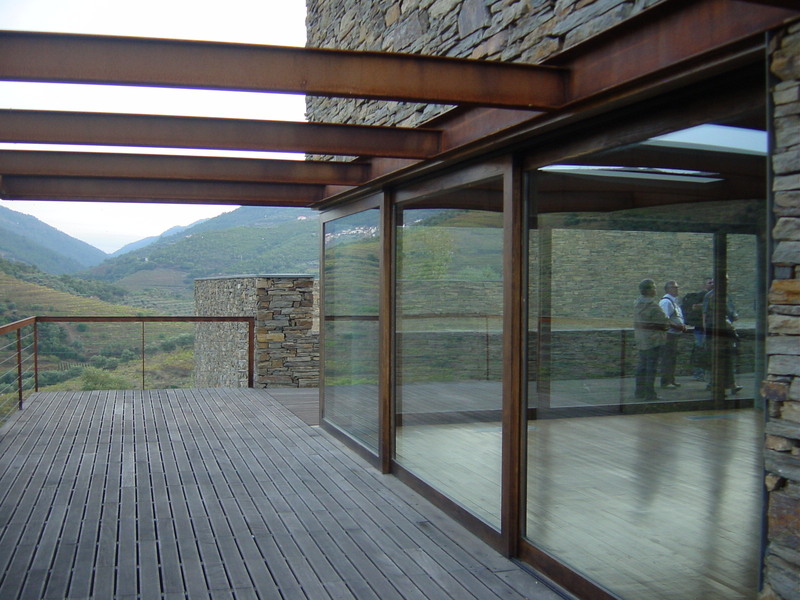 The Port is then transferred to stainless steel or large wooden tanks or casks to age for a minimum of two years. An overview of what happens next, and the various Ports, are described below. 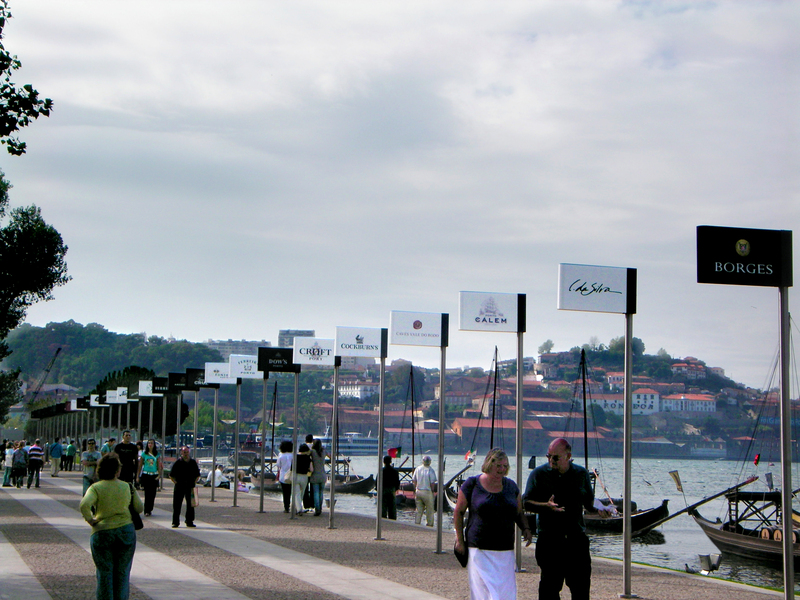 During our trip, we drank each of these different types of Port. 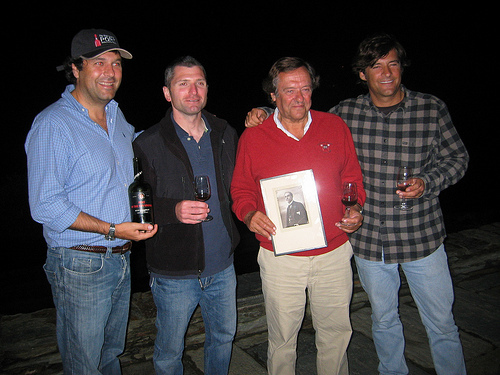 Ruby Port is a blend of several vintages. It is the lightest, simplest Port; typically wood aged 3-5 years. This is the entry level Port, and meant to be consumed upon release. Reserve Ruby Port is a blend of several vintages and wood aged 5-7 years, and because of the additional time spent in cask, has more complexity and structure than a Ruby Port. Meant to be consumed upon release. Late Bottled Vintage Port (LBV) is produced from grapes of a single harvest, and bottled between the 4th and 6th years after harvest. Meant to be consumed upon release. Crusted Port is a blend of two or more vintages; aged in wood for up to four years and then in bottle for up to another three years. The year you see on the bottle is the year the Crusted Port was bottled. Crusted Ports are unfiltered, and need to be decanted to remove the sediment (crust). A Crusted Port can be aged 10-20 years. 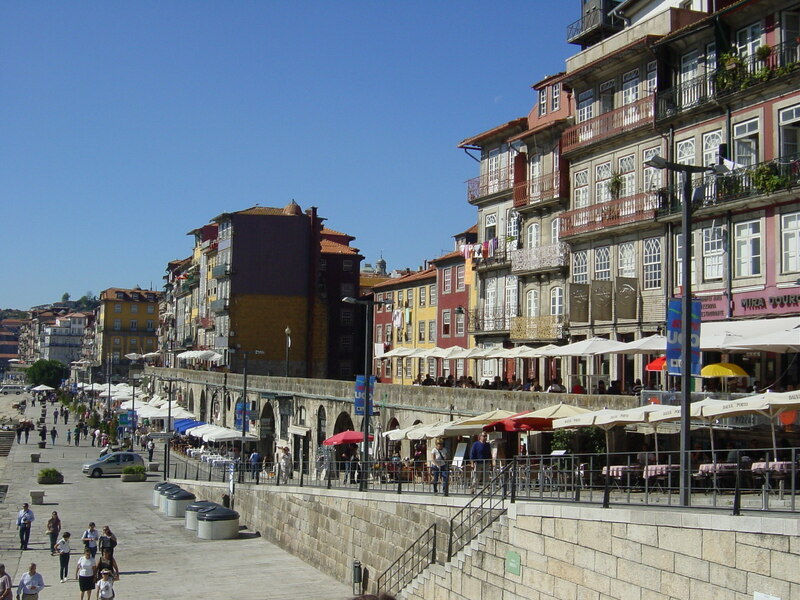 Vintage Port is the so-called King of Ports. 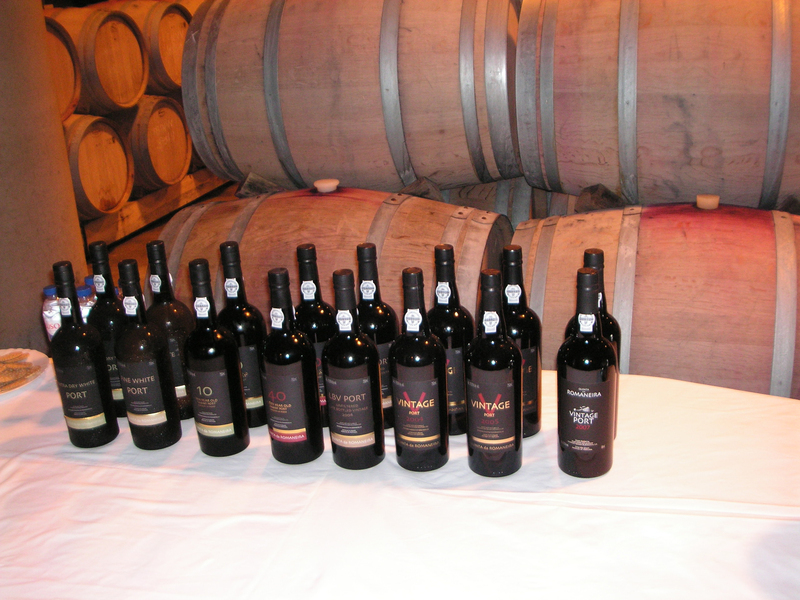 A Port declaration occurs when the producer believes that the vintage is exceptional, and the declaration has been approved by the IVDP, Port’s governing body. 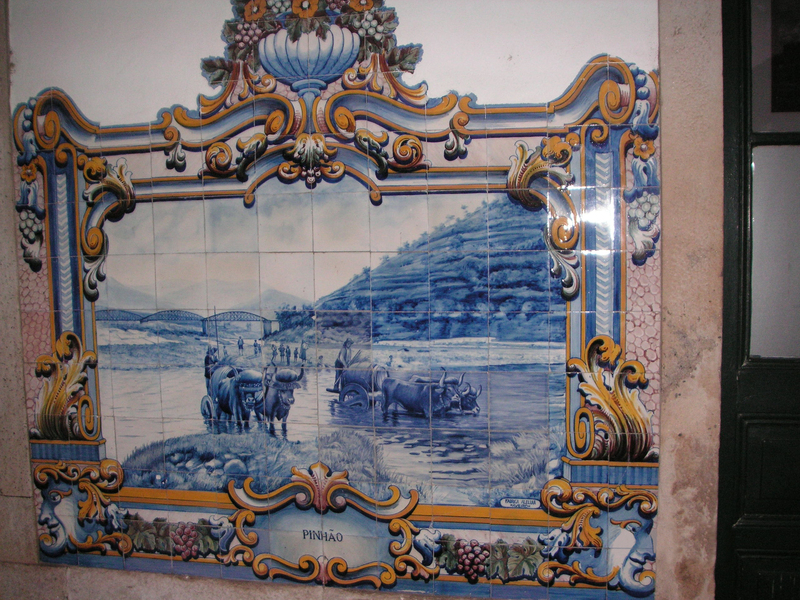 A Vintage Port is a blend of grapes from several Quintas that the producer owns or buys from. 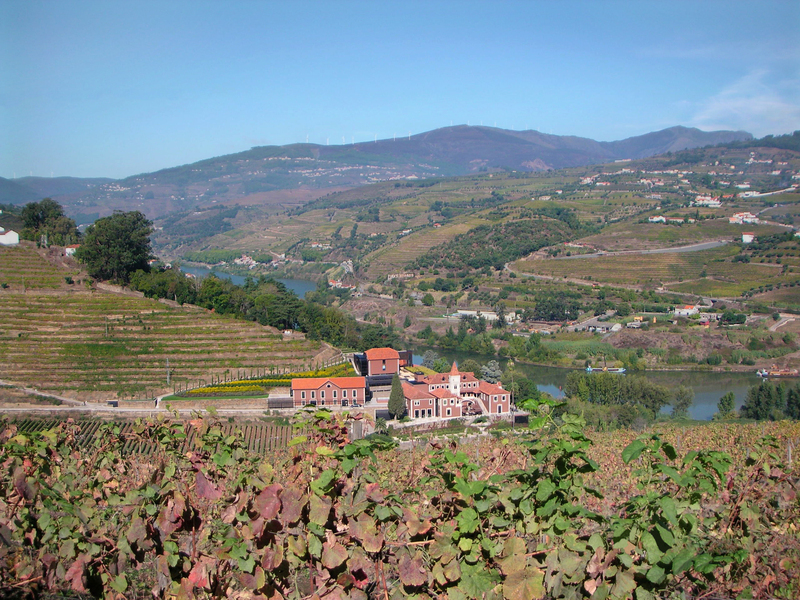 A Vintage Port is wood aged for at least two years, and then bottled between the second and third year after harvest. A Vintage Port will age for 30+ years. 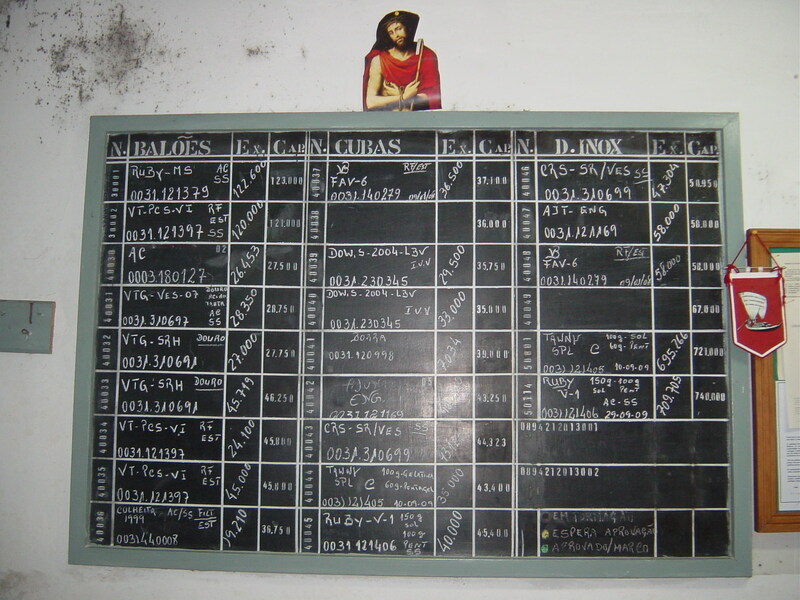 Note that historically, a vintage was “declared” three times per decade. 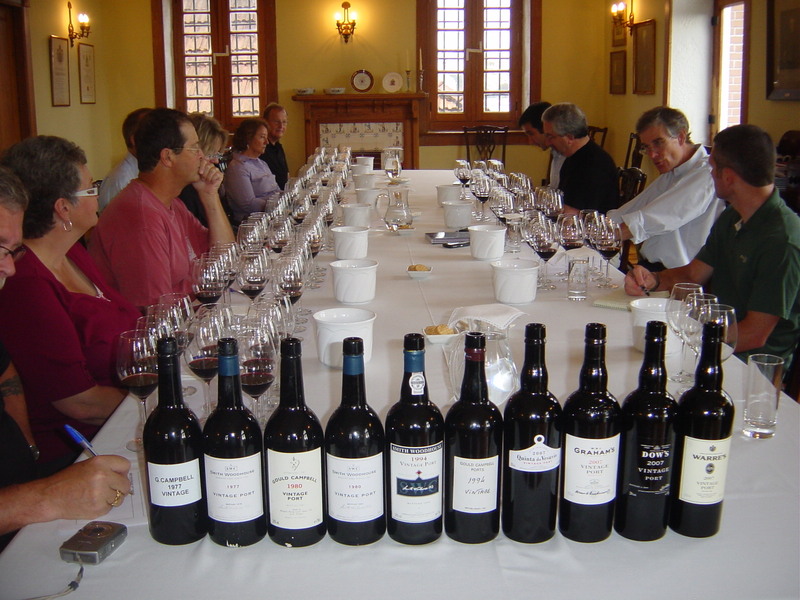 However, that has not been the case since 2000, where the vintages of 2000, 2003, 2007, 2008, 2009 and 2011 were declared. Further, not all producers“declare” the same vintage. Also, one thing we learned on the trip is that Vintage Port should be decanted. 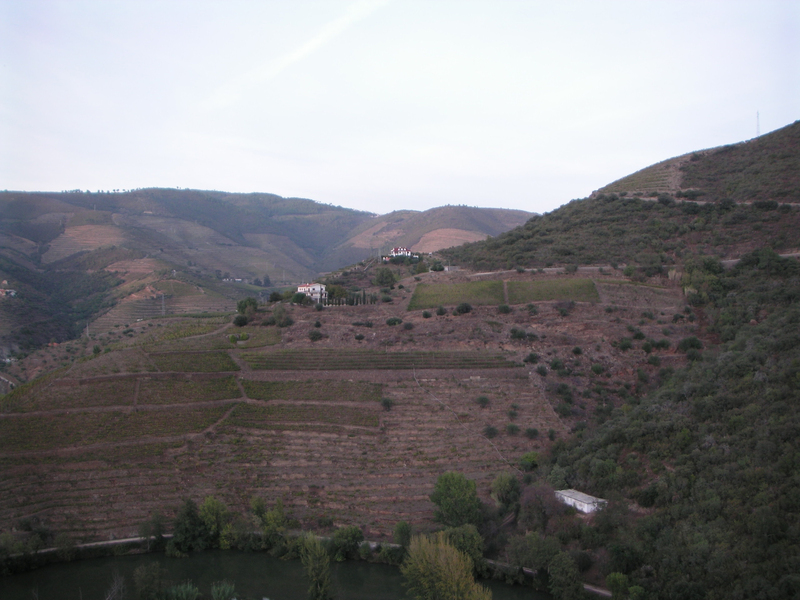 Single Quinta Vintage Port (SQVP) is a variation of a Vintage Port, but unlike a Vintage Port, a SQVP has grapes from one specific property (and from one single vintage). 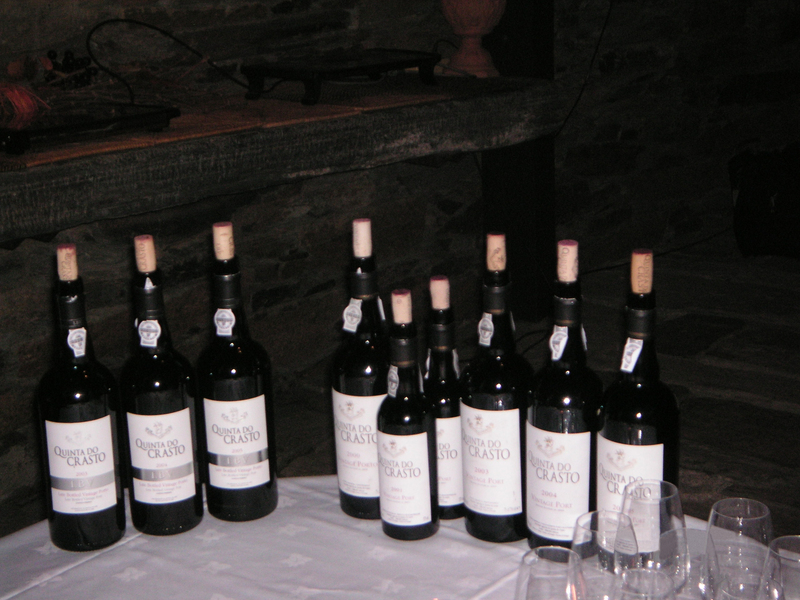 Note that a producer may not declare a vintage, but may declare a single quinta. 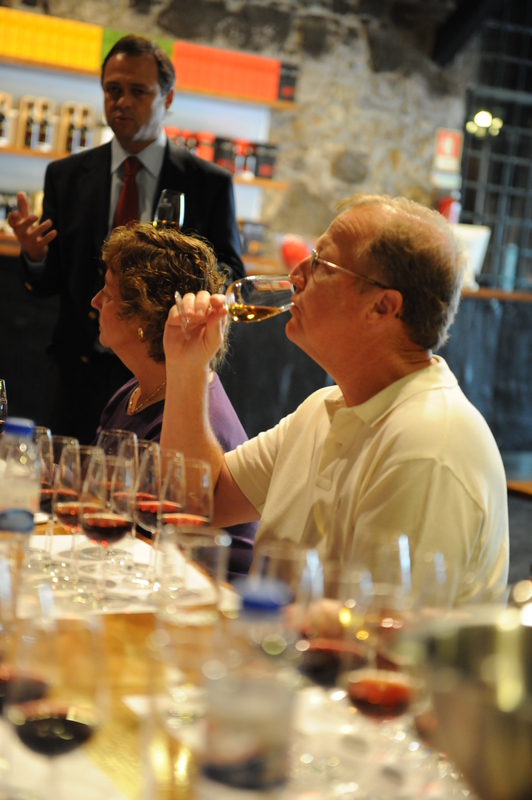 Tawny Port usually starts off like a Ruby Port, but spends an extended time in wood to soften and round its character. The large oak casks (pipes) that are used to age these Ports are somewhat porous and as a result, oxidation occurs. As the oxidation takes place, the color of the wine turns from purplish red to an amber or reddish brown. 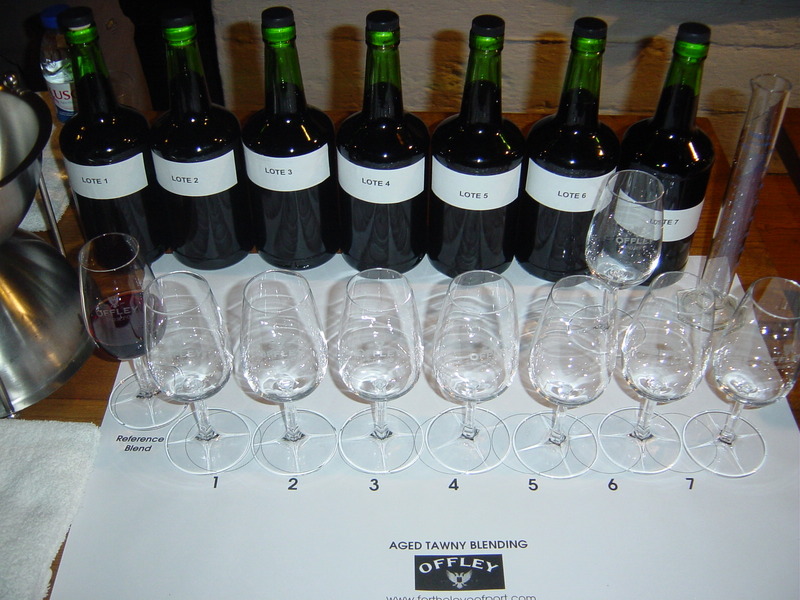 Tawny Port with an indication of age – there are only four types approved in this category, i.e., 10 years old, 20 years old, 30 years old and 40 years old. These are a blend of many years where the average age of the bottle is at least 10 years, 20 years, 30 years or 40 years old. Tawny Ports with an indication of age were my favorite Ports tasted during the trip. Colheita is a single vintage-dated Tawny Port. 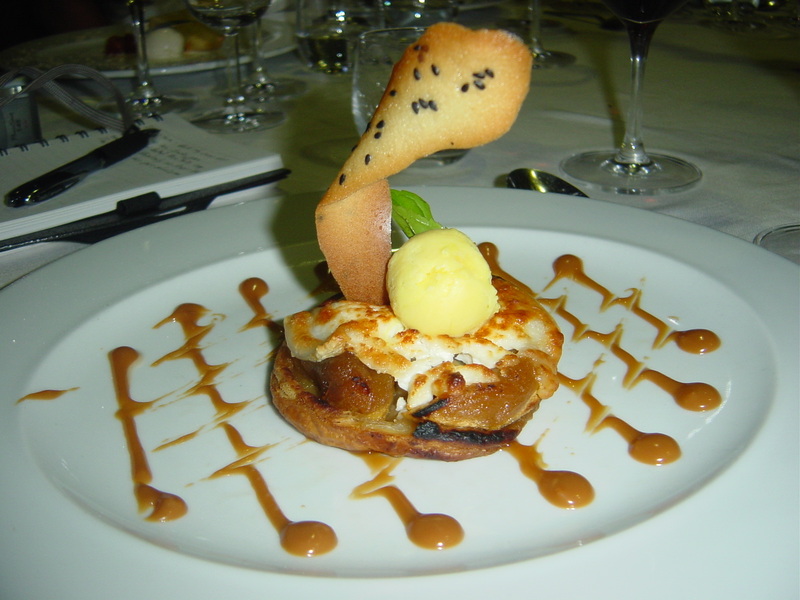 Grapes are from a single vintage, and must be aged in cask at least seven years. 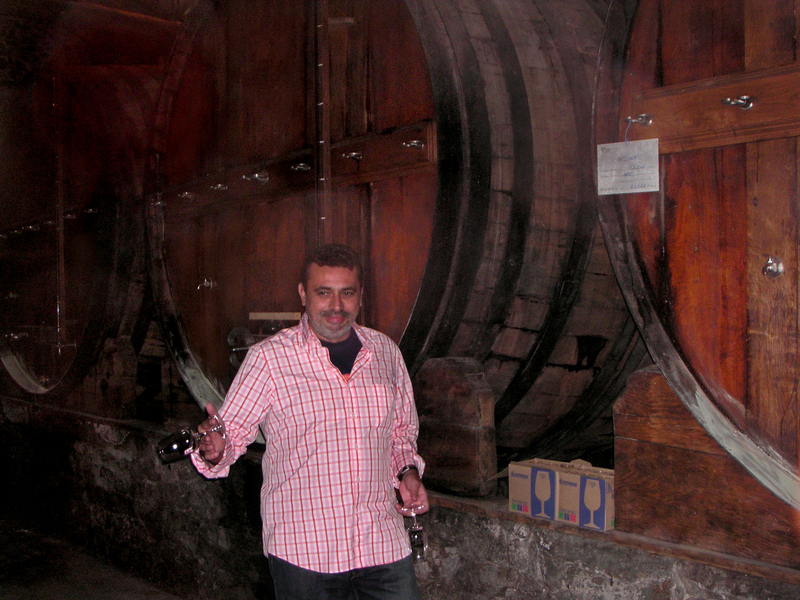 White Port is a blend of indigenous white grapes that are fortified like other Ports; can be aged in tanks or wood. Drank as an aperitif, or mixed with tonic and lemon. 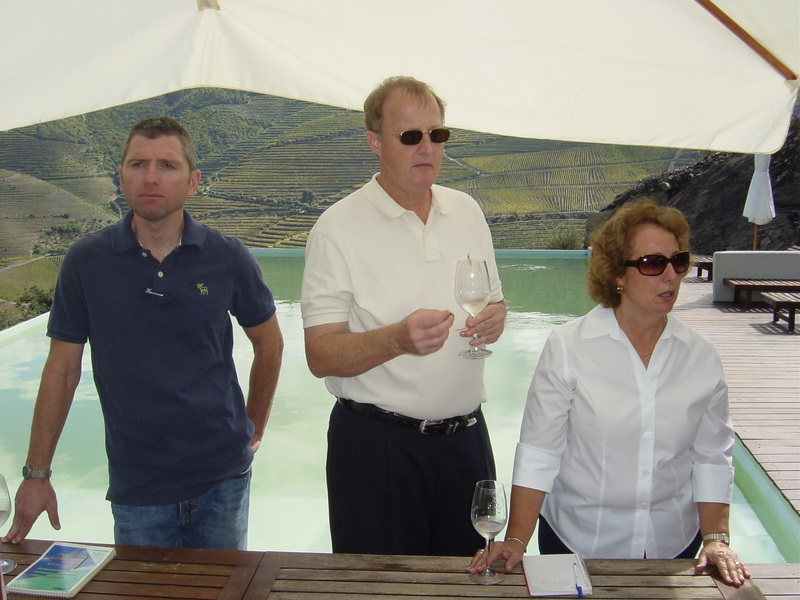 Churchill’s (http://www.churchills-port.com/) – visit, tasting and lunch with owner Johnny Graham. Stand out wines were the 1985 Vintage Port, Crusted Port (bottled in 2002), 20 Years Old Tawny Port and Quinta da Gricha 2007. This was a great visit! Dinner was followed by a wonderful tasting at Vinologia (http://www.vinologia.pt); stand out wine was the 1952 Dalva Golden White Port. 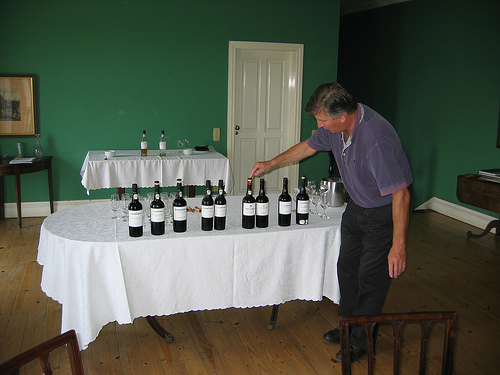 Dow/Warre’s Port Lodge and Graham’s Port Lodge (https://www.symington.com/who-we-are) – visit and tasting (in the board room at Graham’s) with Paul Symington (the Symington Family Estates owns these Port houses, as well as Gould Campbell, Smith Woodhouse and Cockburn’s); Rupert Symington also joined us for part of the tasting. Stand out wines were the 1977 Smith Woodhouse Vintage Port, 1994 Gould Campbell Vintage Port, 2007 Graham’s Vintage Port, 2007 Quinta do Vesuvio Vintage Port and 1966 Graham’s Vintage Port. An outstanding visit! 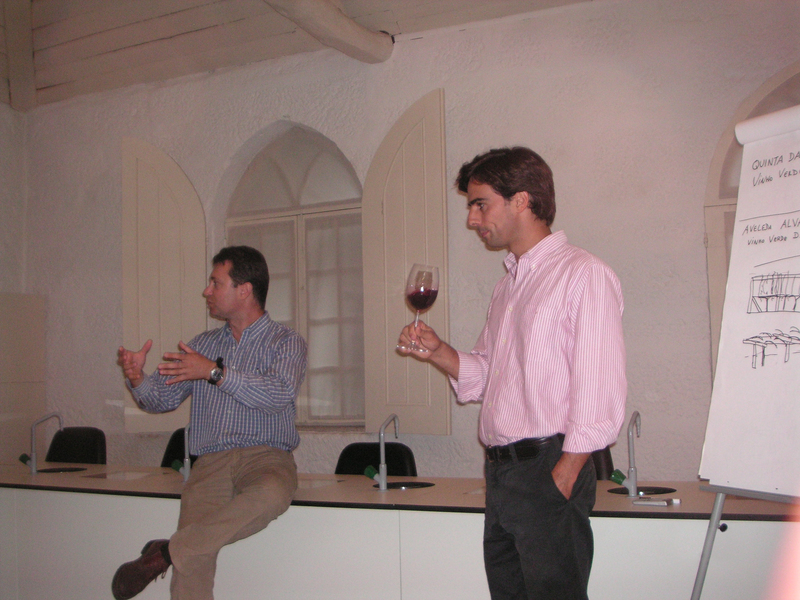 Porto Vasconcellos – visit and tasting with Jorge; nothing special about this visit (in fact, the only visit on the trip that was poor). 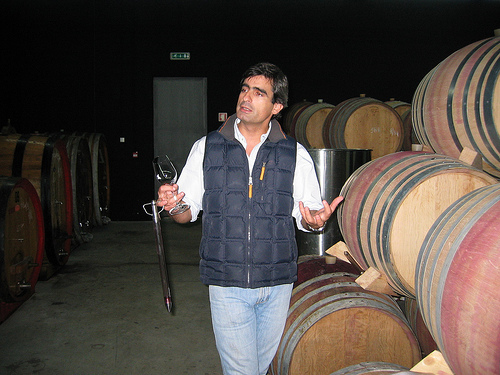 Sogrape Vinhos, and our visit and tasting was primarily with Luis Sotomayor, head of Sogrape’s winemaking team (or, as he said, the “chief winetaster”). 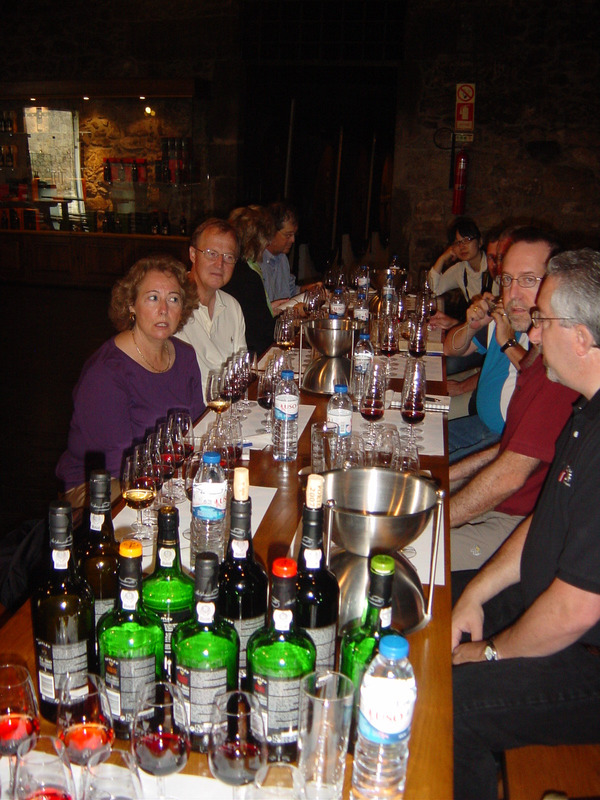 Our visit included a really fun blending competition, with each of us blending our own 10 Years Old Tawny Port; stand out wine was the 30 Years Old Tawny Port. A really great visit! Quinta de Aveleda in Vinho Verde (http://www.aveledaportugal.pt/index.php?id=77) –Aveleda is owned by the Guedes family, and our visit and tasting was with António Guedes, director of viticulture, and also António Mendoza, commercial director. 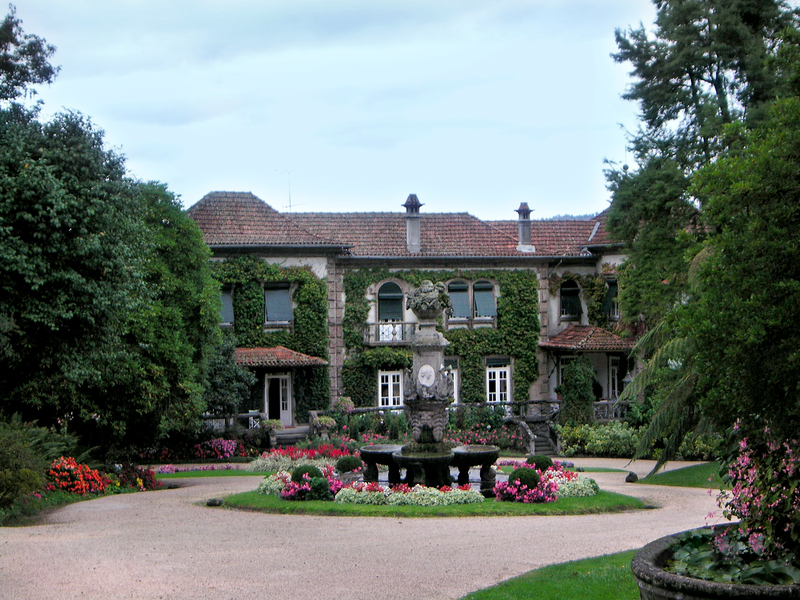 This is a beautiful estate; and the wines that I enjoyed were the Aveleda Vinho Verde 2008 and Casal Garcia Vinho Verde Rosé 2008. Another really nice visit. 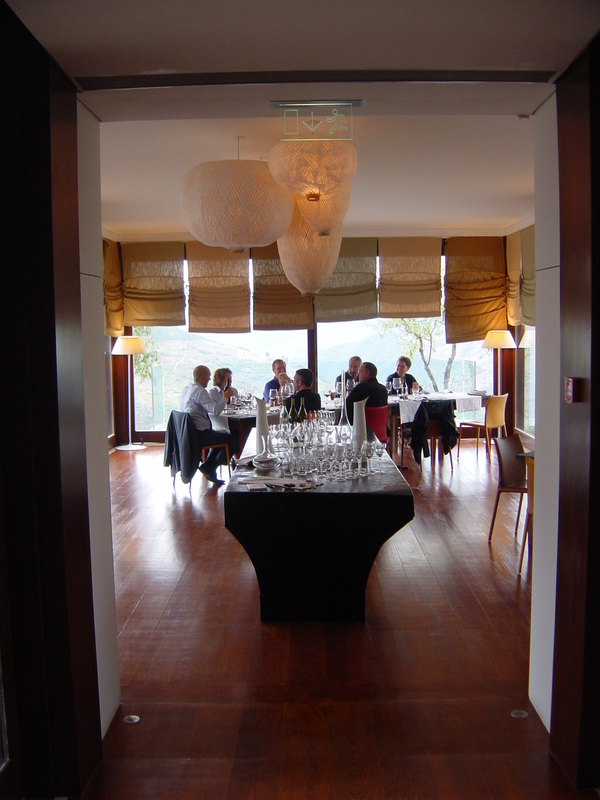 Dinner was at Artemísia in Porto, where we enjoyed some really nice wines with our meal, including the Quinta Vale D. Maria 2001 (a Douro red). 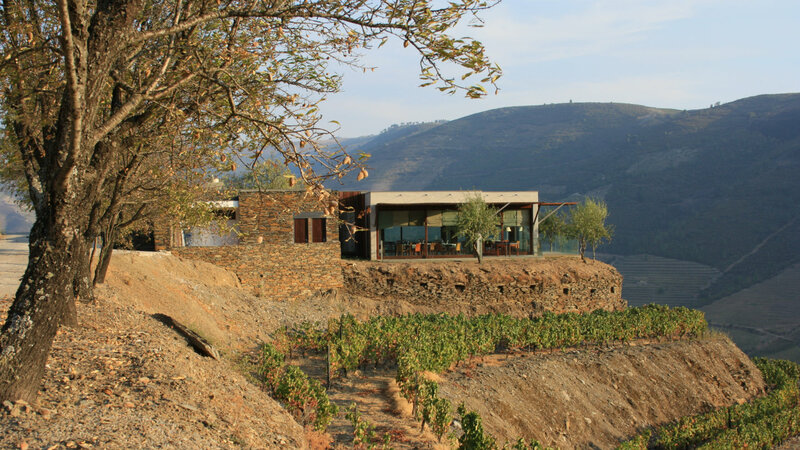 Warre’s Quinta da Cavadinha (http://www.symington.com/vineyards/symington-familys-vineyards#viewGallery/0) – owned by the Symington Family; our visit and tasting was with winemaker Miles Edlmann and Dan Carbon, director of marketing for Symington Family Estates. Stand out wines were the 1984 Quinta da Cavadinha, 1986 Quinta da Cavadinha and 2005 Quinta da Cavadinha. Another great visit! 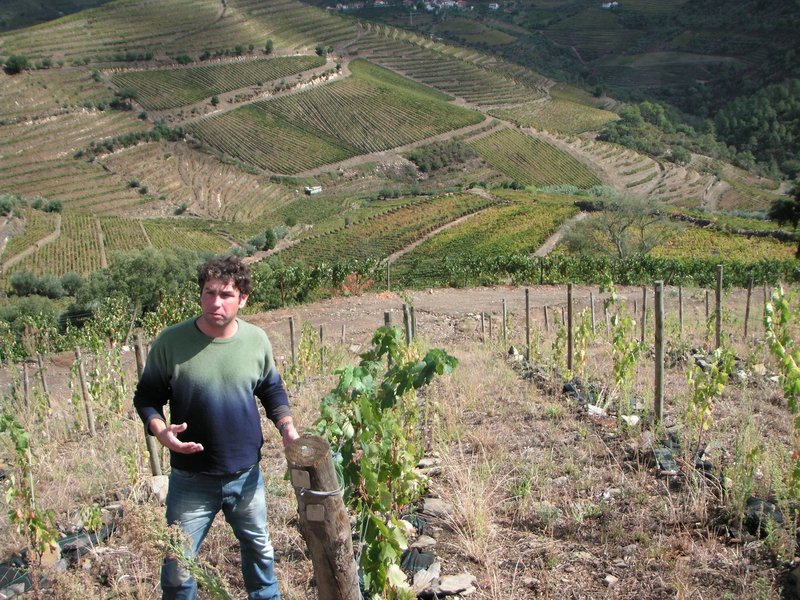 Dow’s Quinta do Bomfim (http://www.symington.com/vineyards/symington-familys-vineyards#viewGallery/0) – visit, lunch and tasting with winemaker João Pedro Ramalho (Miles Edlmann and Dan Carbon also joined us for lunch). 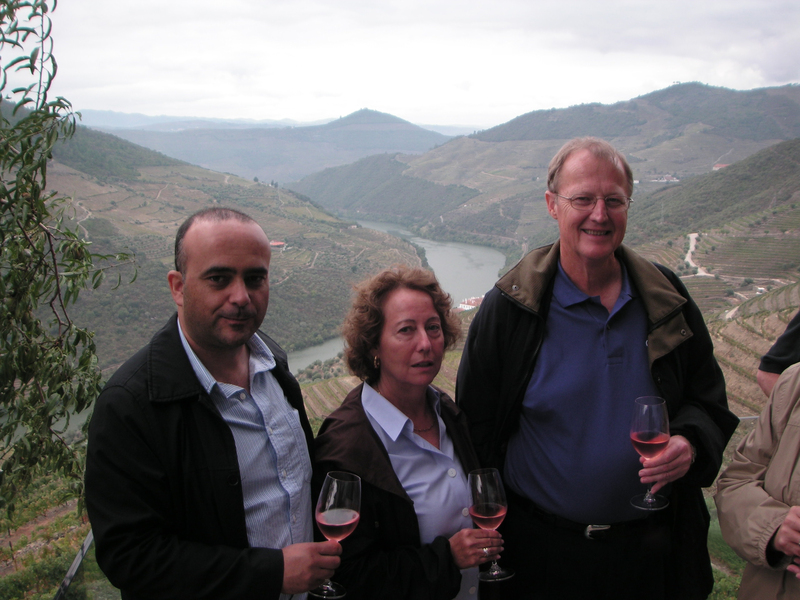 Stand out wines were the Altano Douro Red 2007, 1987 Quinta do Bomfim and 1996 Quinta do Bomfim. Another fantastic visit! Dinner at LBV 79 in Pinhão, joined by Cristiano van Zeller, owner of Quinta Vale D. Maria and van Zellers & Co. (http://www.quintavaledonamaria.com/vzstart.htm); a very enjoyable evening. Quinta do Crasto (http://www.quintadocrasto.pt/) – owned by the Roquette family (Jorge and Leonor Roquette, and sons Miguel and Tómas) we spent the entire day at Quinta do Crasto, including walking the vineyards, tastings of tables wines and ports, lunch and dinner with the Roquette family, drinks by the poolside and a boat ride (on Miguel’s boat) on the Douro River. 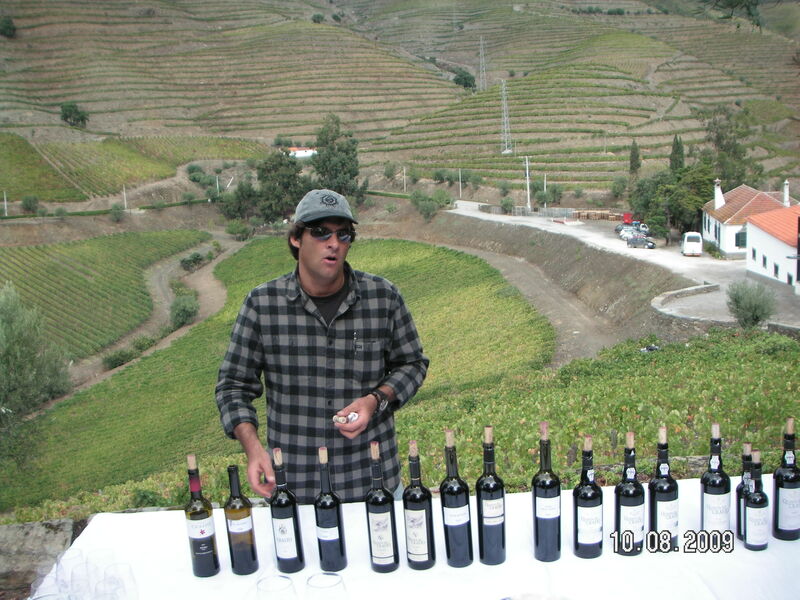 Stand out wines were the Crasto 2007 (a Douro red), Crasto 2008 (a Douro white), Reserva Old Vines 2004 and 2007, Vinha da Ponte 2007, Vinha Maria Teresa 2006, Touriga Nacional 2001 and 2003, Tinta Roriz 1997 and 2000 Vintage Port. A truly fantastic day! Quinta da Romaneira (http://www.quintadaromaneira.pt/en/) – visit, tasting and lunch at Redondo (at the time, Quinta da Romaneira had a beautiful hotel and restaurant) with Joel Fonseca Tibéro (an enolgist, who was the sales director). The lunch with wine pairings was great! My favorite wines were the Rosé 2008 and Verdelho 2007. This was a really nice visit. 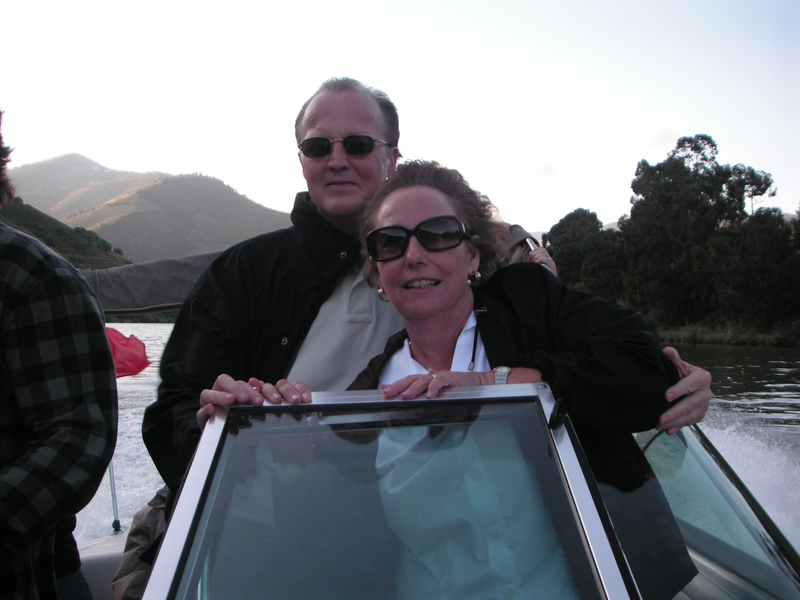 As a footnote, I stayed in touch with Joel Tibéro after our visit, and Joel helped me with visits in other countries. 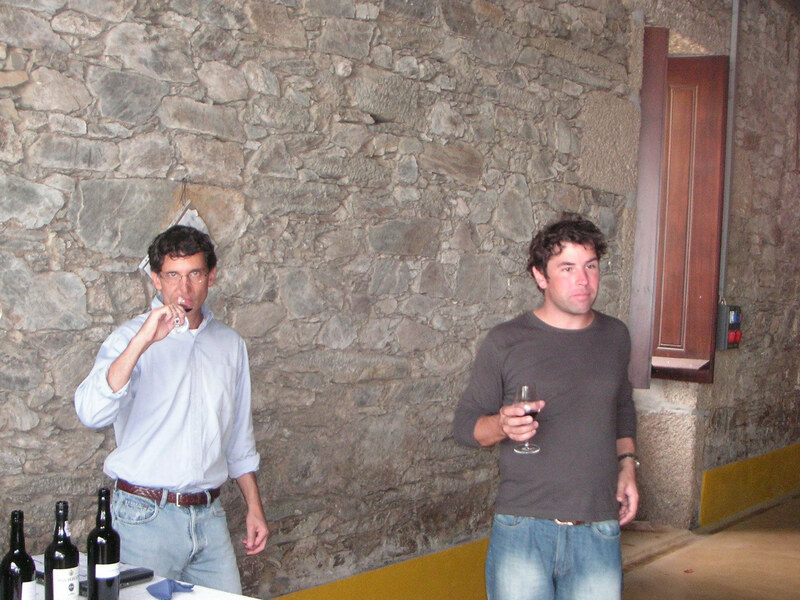 Quinta de Nápoles (Niepoort) (http://www.niepoort-vinhos.com/en/process/) – visit and tasting of cask samples with winemaker Luis Seabra. 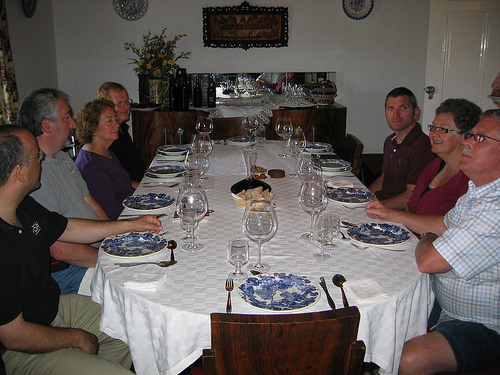 Luis later joined us for dinner, and he brought many bottles of table wines and Port. 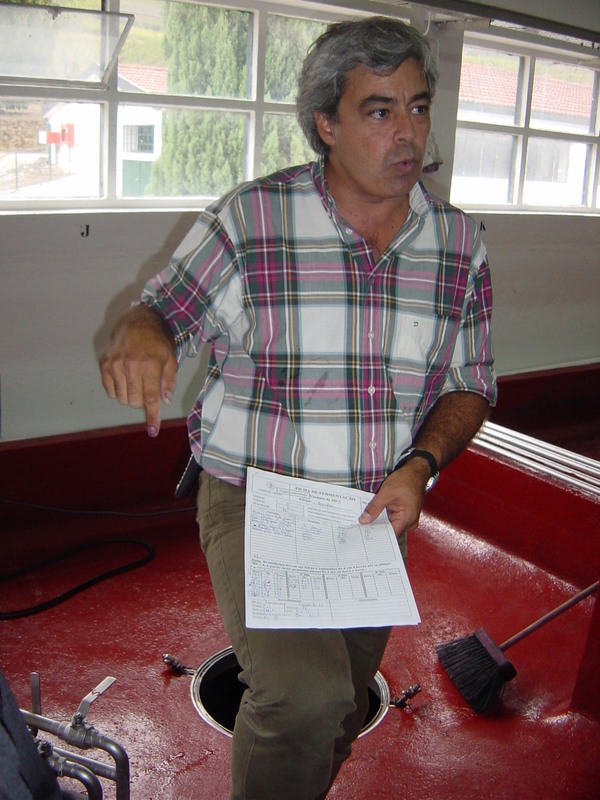 Luis is a charming and knowledgeable winemaker. Dinner at Restaurante DOC in Folgosa (http://www.docrestaurante.pt/); a wonderful dinner. 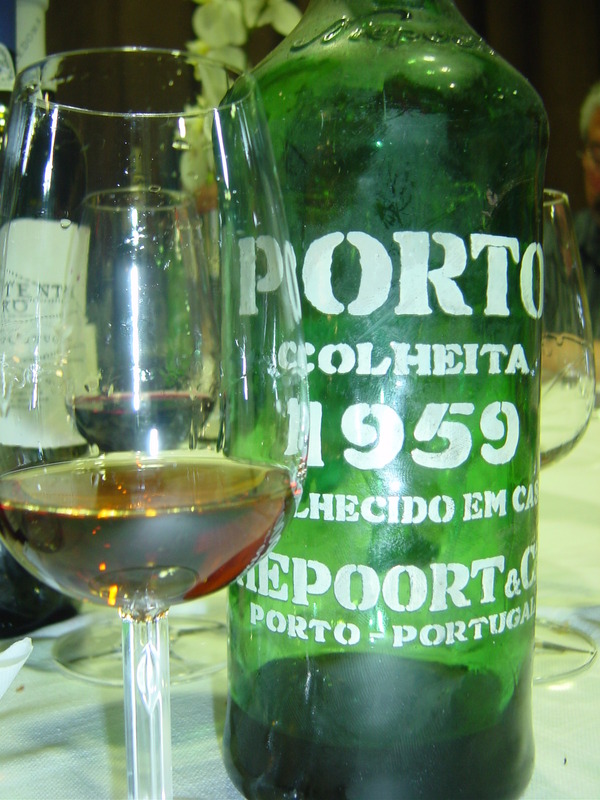 Stand out wines were the Niepoort 30 Years Old Tawny Port and Niepoort 1959 Colheita. 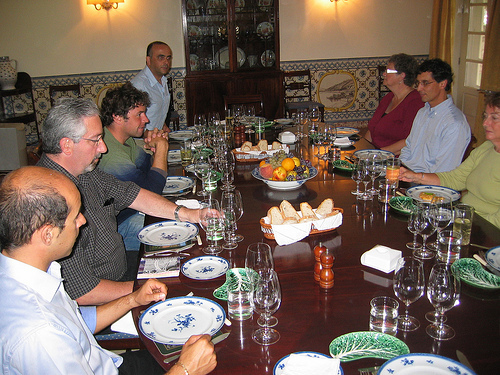 lunch with owner/winemaker Miguel Braga. Tasting included a 1972 vintage cask sample and a cask sample that was “around” 50 years old (for both of these, the cask sample themselves were exceptional). Stand out wines were the 2004 Rio Bom Colheita (bottled July 2009), S. Leonardo 30 Years Old Tawny Port and S. Leonardo 40 Years Old Tawny Port. A really wonderful visit! Dinner at Terra in Porto (http://www.cafeina.pt/pt/terra#_=_) – a very nice dinner; stand out wines were the Niepoort Robustos 2004 (a Douro red) and Chryseia 2001 (a Douro red). A few last comments. 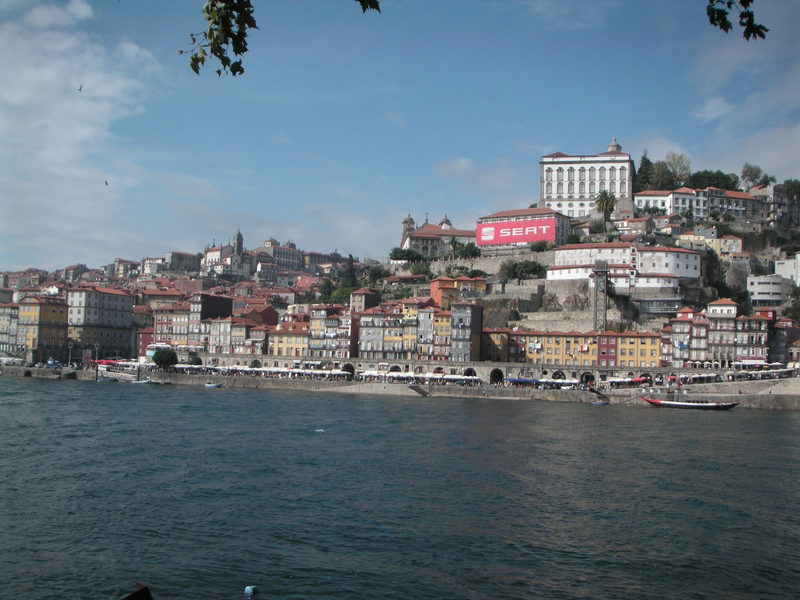 We flew into Porto the day before the tour started with For the Love of Port, and had dinner that night at Foz Velha. This was a really enjoyable meal. 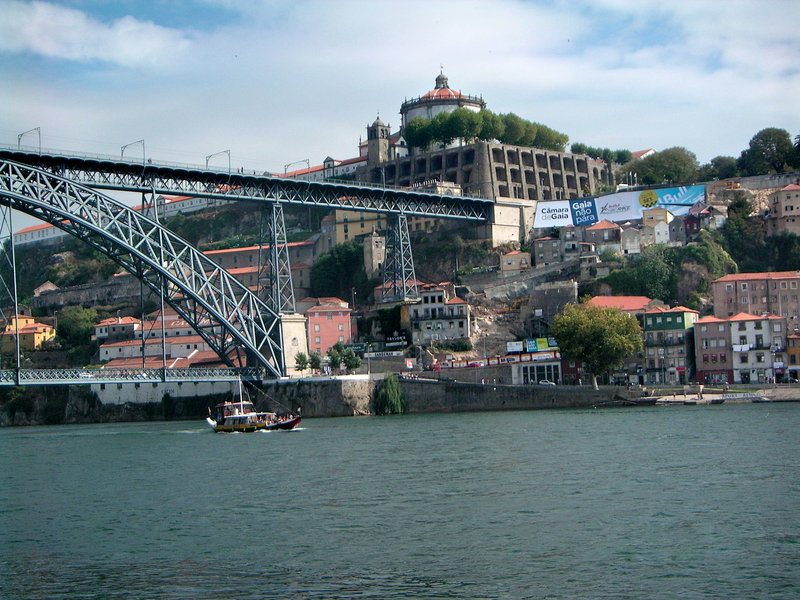 Finally, we had a very early flight out of Porto the next day after the tour concluded, and we met our driver outside our hotel at around 5:00 a.m. When we stepped outside of the hotel, we were amazed to see hundreds, if not a thousand, people in the streets around our hotel. 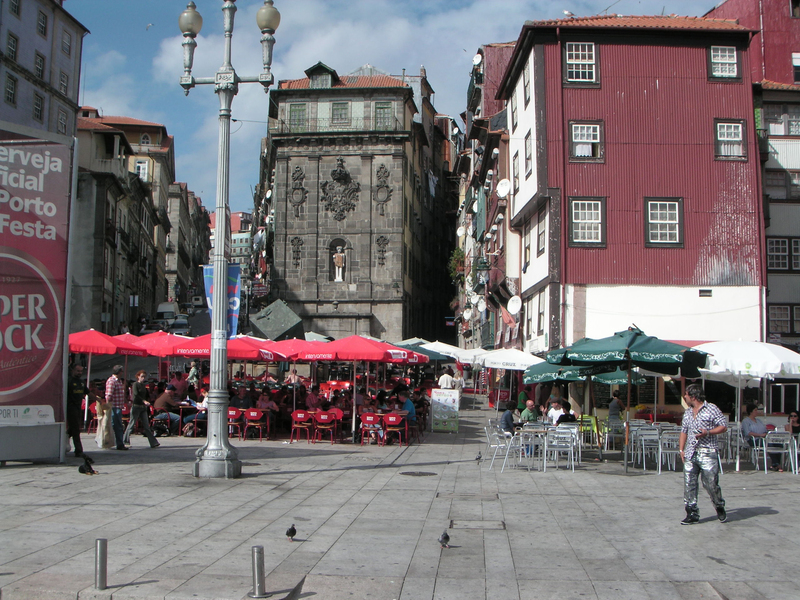 Our driver told us that these were people still up and partying from the night before; something that happened every Saturday night in Porto! 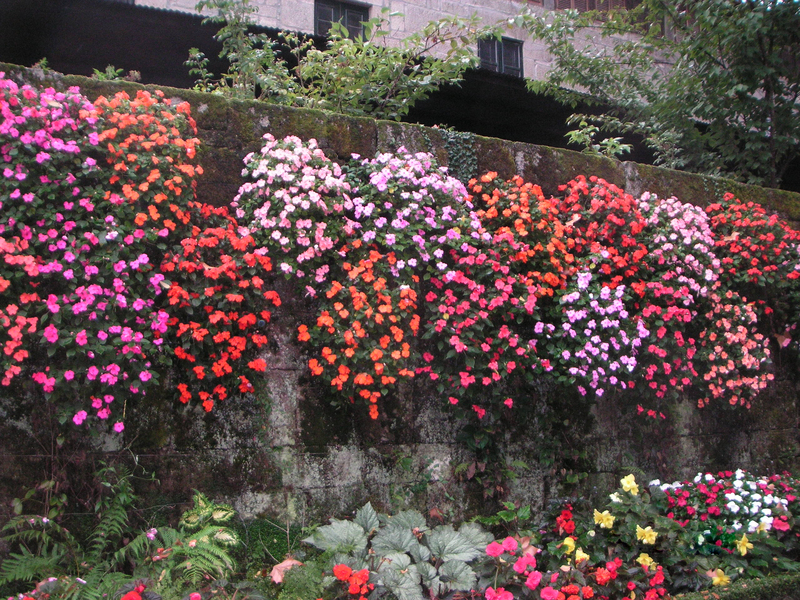 This entry was posted in Portugal by Marilyn. Bookmark the permalink.